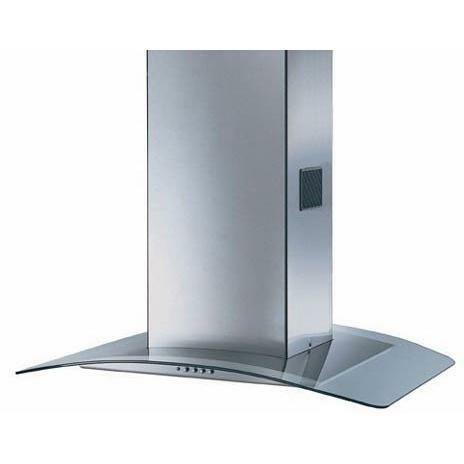 Faber 36 Inches Tratto isola island mount Chimney range hood with 600 CFM internal Pro blower, 3 speed push button and halogen lights. Convertible to a ductless range hood, Pre-installed Silent Kit™ sound-proofing. Elegant glass and stainless styling. 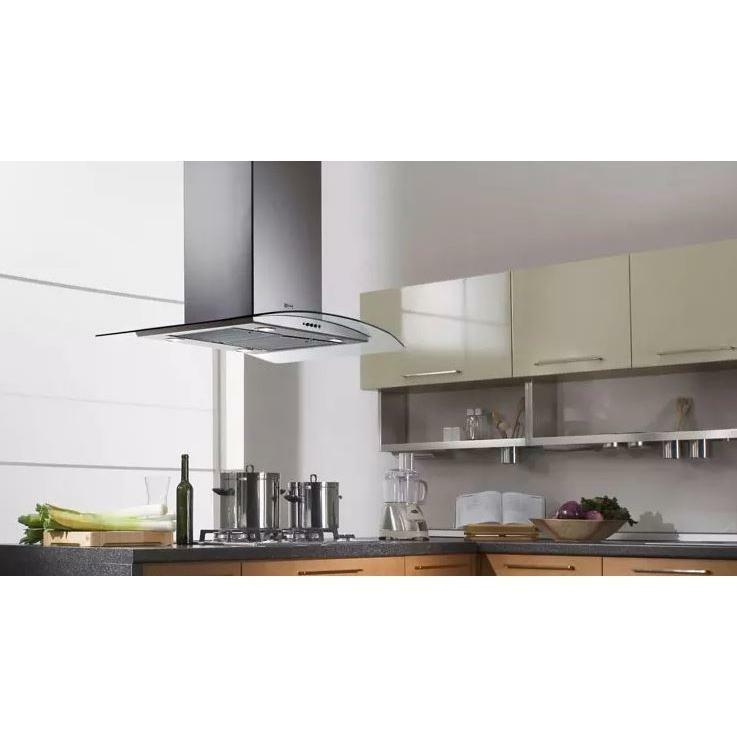 Additional Information island canopy rangehood; elegant styling; 600 cfm PRO motor; Silent Kit noise reduction; 4 halogen lights; 3 speed push button controls; stainless steel baffle filters; convertible to ductless; Easy Cube motor access; sone range: 3.5 - 6.5; 6” round duct.